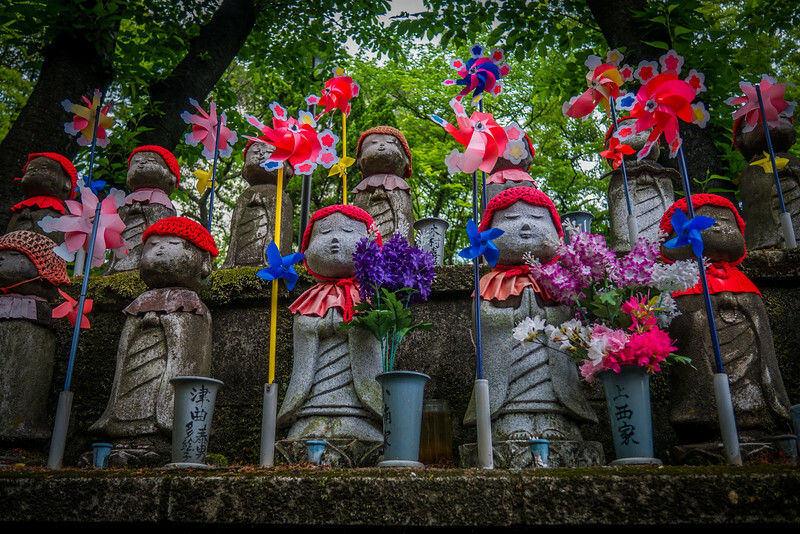 Jizo statutes at the Garden of Unborn Children in Tokyo, Japan. The colorful little statues are the first thing you see when entering Zōjō-ji Temple, and they are adorned with little gifts, clothes, and rock piles to shorten the unborn child's trip to the afterlife. The statues rest under giant trees, and the pinwheels near each statue whiz in the breeze. Beautiful and a little haunting, it was interesting to see this special section of the Japanese cemetery and burial customs.